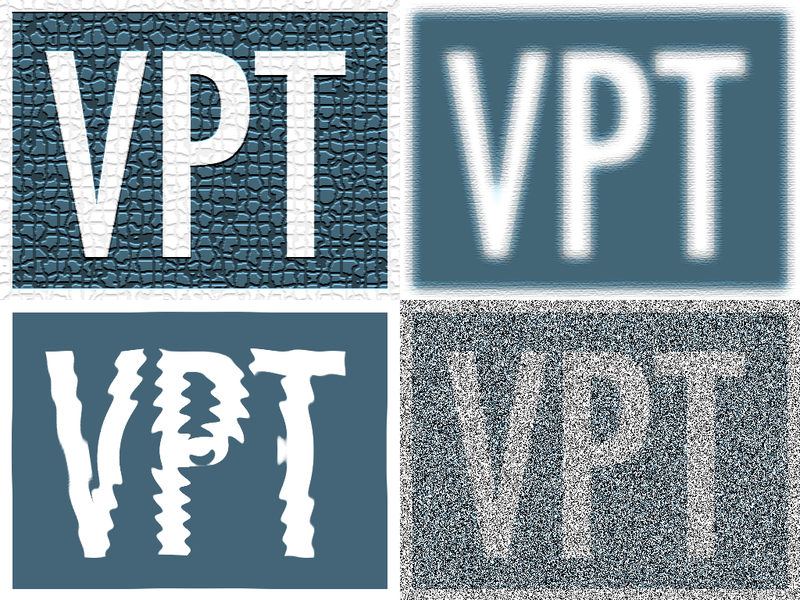 After a long development period, VPT 7 is finally out. 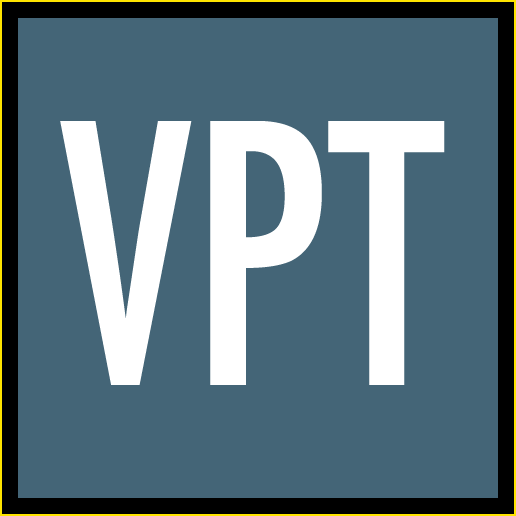 VPT 7 is completely rebuilt making it faster, stabler, easier and more flexible to use than previous versions of VPT. and yes, it is still FREE! dynamic layers: add the number of layers you need for a particular project. flexible source setup: create your own mix of quicktime,hap,still and mix modules according to the need of your project (on top of the live, solid and syphon sources). 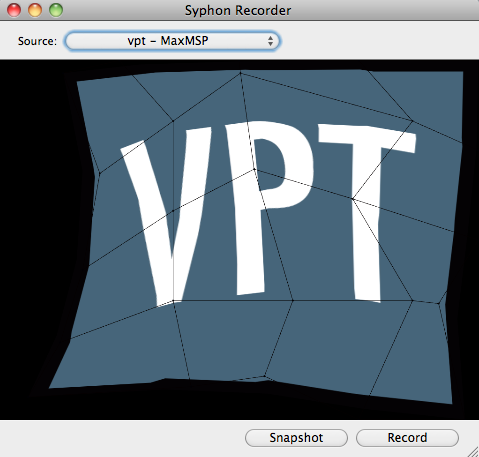 In the mac version VPT continues to support the syphon framework but has also added support for the HAP codec, an opensource codec that greatly improves playback of high resolution video. there is a completely new mask editor which lets you add as many mask points as you need. the mesh editor is also new, and you can now apply a mesh distortion together with cornerpin distortion (not possible in previous versions). 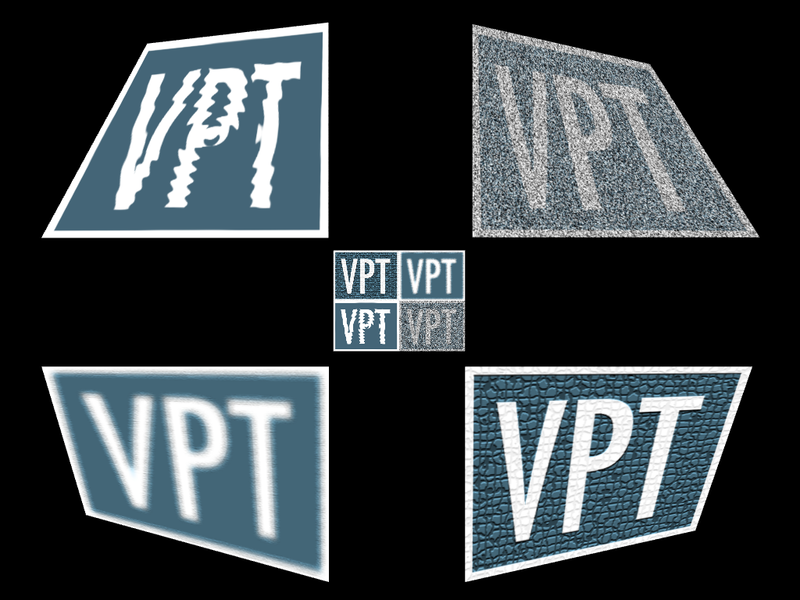 an optional alternative to the traditional VPT presets using source presets and source playlists. 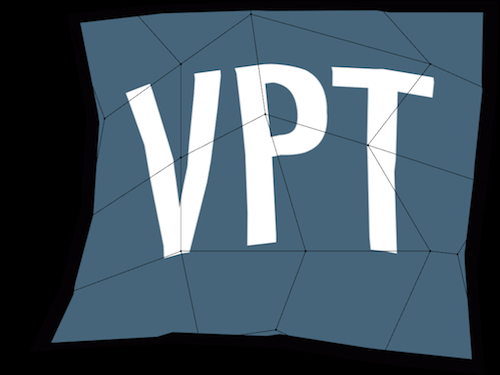 With almost 5000 downloads of VPT 5.1, I am happy to announce that the next version of Video Projection Tools, VPT 6 is now available. A completely new graphical interface making it even simpler to position, scale and distort the layers. 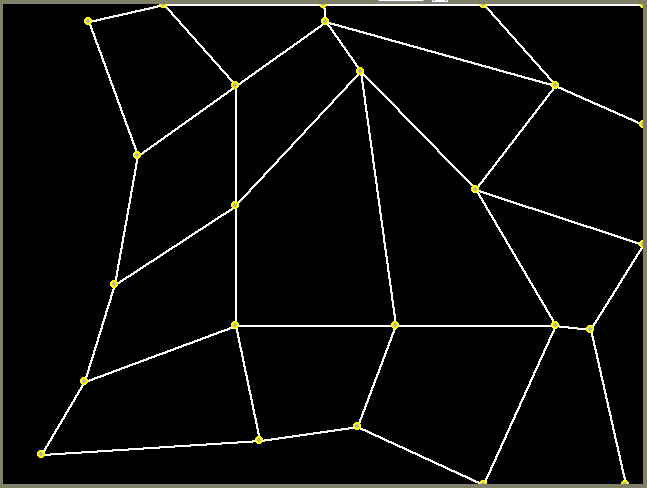 mesh distortion with variable-sized control grid. a completely rewritten cuelist making it even simpler to create transitions and to build complex sequences. You can now also send osc formatted commands directly from the cuelist. a DMX module has been added, with support for Enttecs usbdmx pro interface, enabling both control of VPT from DMX light consoles, or the possibillity to control dmx devices from VPT. 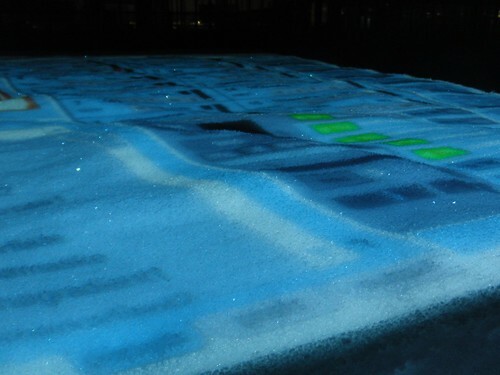 VPT 6 is made possible through the support of IMAL in Brussels and Atelier Nord in Oslo. IMAL offered me a one month residency in april to give a VPT workshop and to do an exhibition. Atelier Nord has supported me twice this year: First they hosted a workshop as part of Oslo Lux in January which ended up in a VPT 5.1 release, and in june they gave me a week residency to write documentation for VPT 5.5 which instead turned into intense development of VPT 6. So hosting workshops and inviting me to residencies is another way of supporting my work. I am busy finishing the upcoming release of VPT 5.5, and wanted to share a few of the new features. One major addition is the possibillity to perform mesh distortion to each layer, giving you even more flexibility over the projected output. 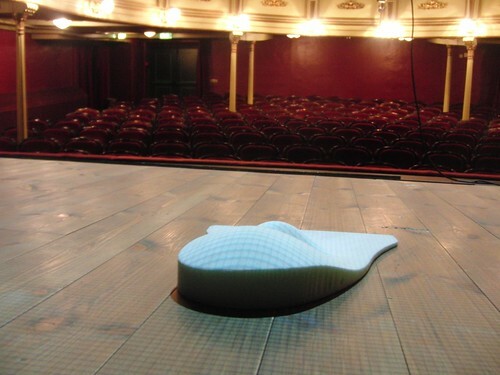 The control interface gives you control over each point in the mesh. Syphon is becoming an important tool for sharing image data between applications on Mac osX, supporting more and more applications (there is now a more or less working Processing implementation as well). You can record the output from VPT using the Syphon Recorder App. You can use different parts of the incoming Syphon image data in different layers: Using your favourite syphon-enabled application you can tile your output so that VPT split up the single syphon source into multiple sources. There are plenty of other improvements, which will be covered when it is released. For VPT 5.5 I finally get the possibillity to make proper video tutorials, as Atelier Nord has generously offered me a one week residency to do this. As always, free (with the possibility to donate). The new version of VPT just passed 1000 downloads after less than a month, which is pretty good. I decided this would be a good time to make some more documentation. There are now some basic video tutorials (not very exciting but gives you an idea of how to handle the interface) as well as the missing manual, which will be updated (ir)regularly. 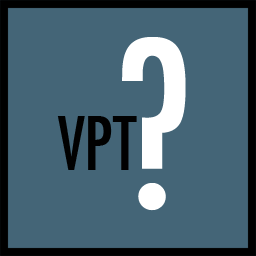 There is also lot´s of useful help built into VPT, not to forget the VPT forum. 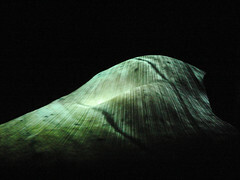 I have uploaded some images from the process of constructing the landscape for the Fuglane scenography, you can see it here as a slideshow. I started off with a plastelina model (which I don´t feel like sharing with the world), and then continued with a google sketchup 3D model. 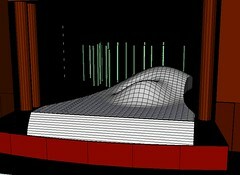 I then got the model milled in styrofoam to use as the presentation model of the scenography. 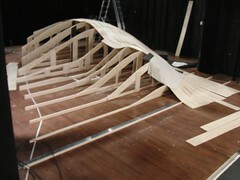 Later the 3d model was converted into technical drawings used by the skilled carpenters at the theatre to build a full scale version (about 10mx7m, the highest top about 1.6m). 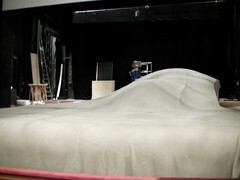 It was then covered by a material to make it more suitable as a projection surface. I used a total of 4 projectors, two from above, one frontal, and one for the back wall. I used two macminis with matrox dualhead- to-go splitters and a customised version of my projection software VPT (not unlike the upcoming release). Everything was controlled from the lighting console of the theatre, using an enttec dmx usb pro interface combined with Olaf Matthes excellent max externals.